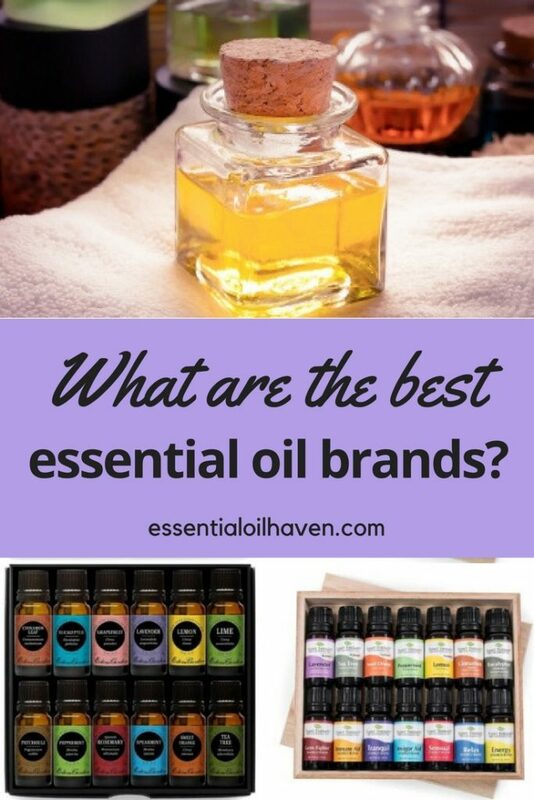 Have you ever wondered, “What are the best essential oil brands”? Who should you buy your essential oils from and why? Those are very good questions! 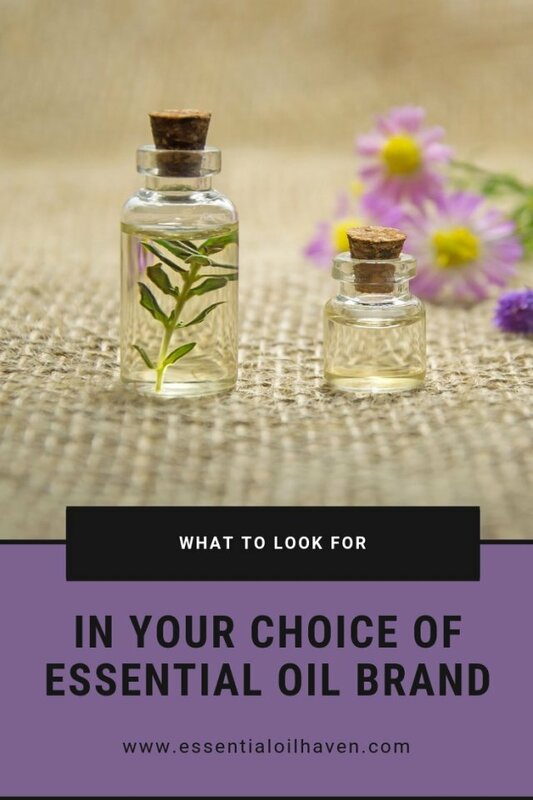 There are variations in quality, standards of production, company culture, price, and product selection among many of the popular essential oil brands available today. 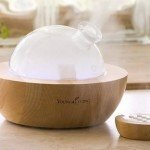 I want to highlight what sets apart one essential oil company over another, and which ones would be the best essential oil brands to start buying from. The essential oils industry is not regulated by the FDA, making comparison shopping quite difficult. Some essential oil brands use certain terminologies, others use different names for the same thing. 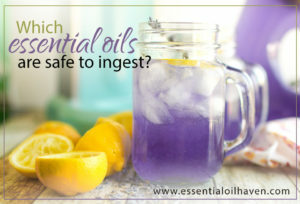 A huge question lately is whether or not you can safely ingest essential oils. Some brands advertise internal use of essential oils, and others advise against it. I recommend to spend some time and get to know an essential oils brand first before you get their products through your door and trust them with the well-being of yourself and your family. This is not an exhaustive list. As I continue my journey of exploring essential oil companies, I’ll be able to update and share more insight. 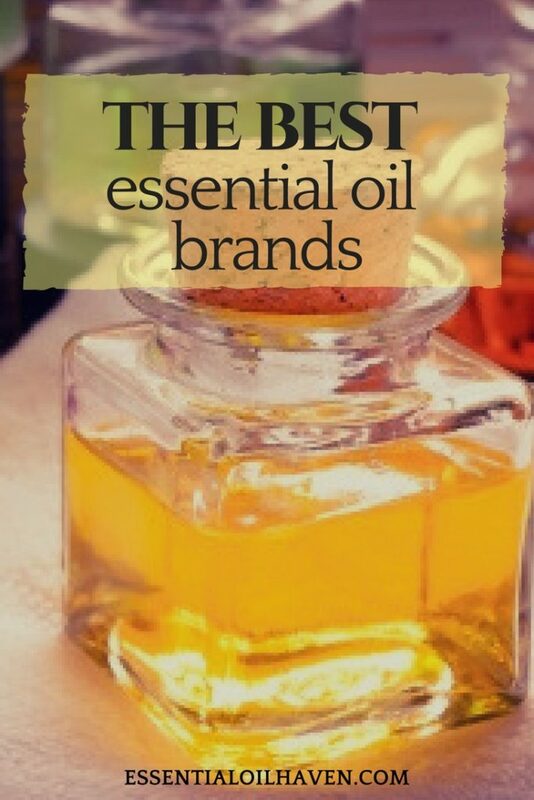 This curated list of the top 10 best essential oil brands contains oil companies discovered by myself during my training towards becoming a Certified Aromatherapist. This is a list, not a ranking. The essential oil brand that is best for you will depend on a mix of things: how you’ll use the essential oils; how many of them you need; and how much you’re comfortable paying for your oils. I own products of all the essential oil brands listed below. This is is a first-hand report paired with research and fact checking. If you happen to find any errors in this information, I’d be thankful if you notify me immediately so I can correct it. 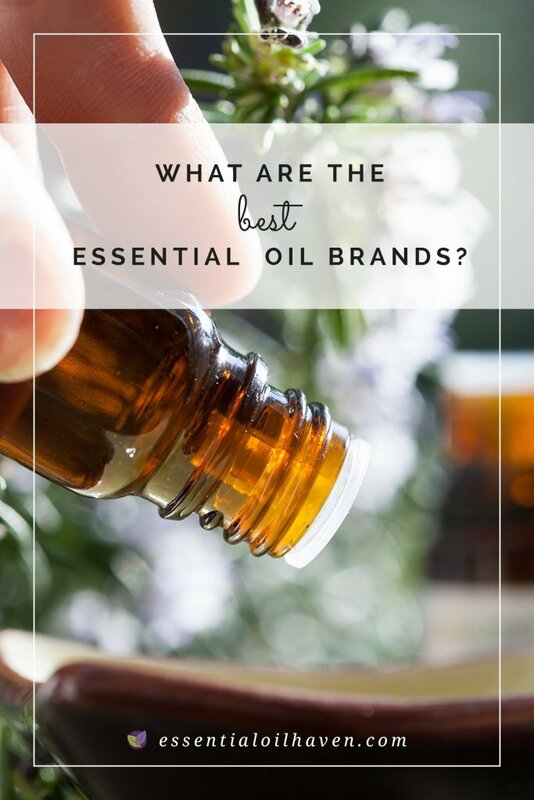 Tips to help you select an essential oils brand that’s right for you! Are the essential oils sold 100% pure, without chemical fillers, additives or synthetics? Where are the oils sourced and is there anything especially noteworthy about the company/supplier/distiller relationship? Does the company send their oils to independent 3rd party testing, and do they make test results easily available to the consumer? 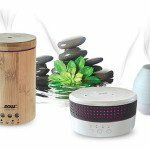 Does the company also offer related aromatherapy products for sale? How accessible is the company’s customer service? What price range are the essential oils sold at? 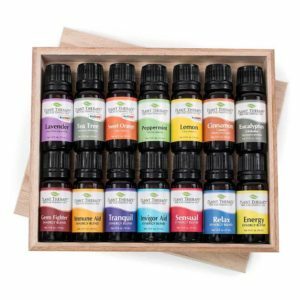 If you get green lights for all of the above, and you trust the brand and company, you’re likely going to be very happy when your essential oils kit arrives in the mail. If red flags raise up for you, whether by someone else’s review or simply by your own intuition, perhaps look into another brand. There are multiple professional, trustworthy, and reputable essential oil companies out there that are willing to sell you a great essential oil. It’s not just one company that has it all. Young Living Essential Oils is one of the leading essential oil brands in the industry. Founded in 1993 with headquarters in Lehi (Utah) and offices in Australia, Europe, Canada, Japan and Singapore, Young Living has grown to become a world leader in essential oils. Their company structure is one of “MLM”, meaning multi-level-marketing. This is a type of revenue-sharing model where people become independent distributors and then sign up their friends and family members to shop through them. Personally, I am not a fan of this structure. But you can read more about it in the detailed brand review here. On the front of essential oils quality, these guys seem to be the real deal. They guarantee a Young Living Therapeutic Grade standard, which preserves the integrity and potency of natural essential oils. What I found most impressive is that they control their product right from the very botanical seeds; cultivating, harvesting and distilling many of their essential oils right on their very own farms across the world. This gives Young Living the unique ability to verify their quality standards at every step of the process. For more information on this, check out their proprietary Seed to Seal production process. I find it pretty cool that they use a gentle, proprietary steam extraction technique for distilling the most effective of essential oils. They also use cold pressing and resin tapping methods for select oils. Customer service through the Young Living essential oils website includes a live chat, e-mail address and toll-free number. 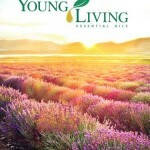 You can buy Young Living essential oils from Independent Distributors and certainly also on Amazon.com. They’ll be one of the most expensive essential oils you’ll buy, and you have to decide whether Young Living quality standards, production ethics and company structure are worth it to you! For some alternatives, please read on. 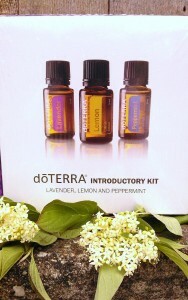 doTERRA was founded by people who previously worked at Young Living. dōTERRA essential oils was founded in 2008 by a group of health-care and business professionals, some of which used to work at Young Living. The founders all shared profound personal experiences with the life-enhancing benefits of essential oils. As per their mission statement, they strive to “bring a new standard of therapeutic-grade essential oils to the world”. Their headquarters are in Pleasant Grove, Utah, with offices around the world. Similar to Young Living, they are also a multi-level-marketing company with membership and wholesale programs. Every batch of dōTERRA essential oils is subjected to the CPTG Certified Pure Therapeutic Grade® quality protocol, ensuring potency, purity, and consistency batch to batch. Unfortunately, this protocol is a company-internal process only, so despite its appealing name it is far from industry-encompassing. On the bright side, dōTERRA sources their essential oils from growers across the globe who use a distillation process of low-heat steam distillation or cold extraction for select essential oils. Their global botanical network encompasses farmers and distillers in 40 different countries. dōTERRA offers full insight into the consumer journey from essential oil sourcing to delivering the bottle to a consumers’ hand, on their website Source to You. GC/MS quality reports are also available for download on this website. While dōTERRA is also still in that higher price bracket, you can get started with a kit of 3 oils for around $20 on Amazon. The Plant Therapy Essential Oils Brand was established in 2011. Plant Therapy sells high quality essential oils at a reasonable price. With a solid product line-up of over 125 single oils, 47 blends, 43 sets, 23 roll-ons, 24 diffusers, 20 carrier oils and multiple accessories, this is a one-stop-shop essential oil brand. You’ll definitely also always find a good deal or promotion when shopping with Plant Therapy, so keep your eyes peeled for banners, ads, and giveaways on their website. Plant Therapy’s popular 7 & 7 set is a perfect starter kit. Plant Therapy puts their oils through solid third party testing, and make all test results available for direct download on their website. They guarantee that all of their oils are 100% pure and of the highest quality. Plant Therapy offers a 100% money back guarantee for 90 days within purchase. If for any reason, your purchase doesn’t fulfill your needs, you can return it for a full refund. You can buy Plant Therapy products on their online store – or through Amazon.com. For any customer service inquiries, you may also use their toll-free phone number +1-800-917-6577. The price point of Plant Therapy oils is really fair. Please read my full review of the brand to learn more about company ethics, who’s behind the name, and what all this brand can offer you. Rocky Mountain Oils was established in 2004. Rocky Mountain Oils (RMO) is a company based out of Orem, Utah, operating since 2004 and one of the leading essential oil brands available today. 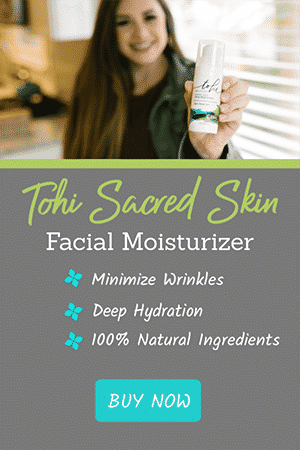 Not only can you buy essential oils at RMO, you’ll also find a comprehensive line-up of skin care, cleaning, wellness, body care, natural supplements, or aromatherapy blending supplies on their online shop. Rocky Mountain Oils provides full GC/MS test results from an independent third-party test lab. Further, they have created their a proprietary S.A.A.F.E Promise™, which stands for Satisfaction, Authentic, Analysis, Free of Adulterants, and Effective and Pure. Rocky Mountain Oils offers a full product line, including select USDA Certified Organic oils. Rocky Mountain Oils offers a 90-day no hassle 100% money back guarantee – even if your oils are opened! If you are unhappy with your order for any reason, you can contact them and they will issue you a refund. For your shopping convenience, they offer a 24/7 online store on their website. You also have access to a 1-800 number, which is: 1 (866) 493-8159 and you can call if for general questions, customer service inquiries, or even if you need help placing your online order from Monday-Friday 7:00am-5:00pm MT. It’s really convenient! For the quality offered, Rocky Mountain Oils is really competitive in their pricing. Their USDA certified organic oils will cost a bit more than their traditional non-organic counterparts, but even as such, they are still below the cost of a company like Young Living and therefore much more accessible to anyone getting started and still looking for rock-solid quality. Edens Garden has been selling essential oils since 2009. The Edens Garden essential oil company ensures that every oil received by a customer is of their best possible freshness and quality. The oils are stored in a temperature sensitive room with minimal light exposure to ensure the therapeutic properties are not compromised. Established in San Clemente, CA in 2009, Edens Garden CEO Grace says that her dream was “to build a business that valued people over profit and dealt honestly while offering direct access to the many benefits of essential oils.” This means, Edens Garden offers affordable essential oil products without compromising on quality. 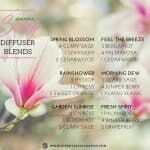 Edens Garden essential oils follows their cornerstone E.D.E.N.S. pledge, standing for Effective, Dedicated, Educated, Natural, and Safe. Their oils are all thoroughly tested in batches before they are poured into Edens Garden bottles. Learn more about the E.D.E.N.S. promise in my full review here. If you’re not happy with their product, you have a 30 day no questions asked refund policy available to you. Call Eden’s Garden at 949-388-1999 or email them at . Office hours are Monday-Friday, 7am-4pm PST. I love the approachability of Eden’s Garden essential oils. You can get their nice-looking “Best of the Best Set” for around $50 on Amazon. That’s a really nice-looking, home-use “medicine cabinet” starter kit that won’t break your wallet. Mountain Rose Herbs is a company dedicated to all things organic. The Mountain Rose Herbs essential oil company strives to sell the absolute finest quality of essential oils. All of their products are certified organic, and an attitude of “People and Planet before Profit” runs through their whole company. Their sustainability principles range from Zero Waste Certification to an Energy Efficiency operations program that helps reduce their company’s carbon footprint. Popular Lavender Essential Oil is sold in Certified Organic. Mountain Rose Herbs also holds quite a few certifications and awards pertaining to their product sourcing, including non-GMO project certification, and the 2013 Best Green Business’s To Work For In Oregon. Overall, this company is making quite a few awesome commitments to better, green business practices and if you like this ideology, this is your company to support. Mountain Rose Herbs customer service includes a 1-800 number, fax line, mailing address, email support and you can even pick up your order in person at their Eugene, OR address. They have regular hours of operation of Monday-Friday 9:00am-5:00pm PST. The Mountain Rose Herbs essential oils actually come in a variety of price ranges. I’ve found some of them quite approachable, but certain oils are again on the expensive side. It depends which one(s) you’re looking for, so the best thing you can do is have a look at their website and shop for the oils you’d like. Keep in mind, this will all be certified organic that you’re purchasing, so the extra dollars spent may be worth the investment. REVIVE essential oils is a newer essential oil brand. It’s a company of true essential oils people where you can buy great quality, carefully sourced essential oils. Most importantly, they offer wild crafted essential oils, which are oils made from wild harvested plant materials and not plants grown on farms. You can also purchase a select variety of USDA certified organic oils. REVIVE offers a great range of essential oils for purchase at fair prices. REVIVE essential oils come directly from distillers, farmers and producers. They do not cultivate their own farms, but rather work with people native to the craft in their own specific home country. GC/MS results are available for each batch of essential oils and directly downloadable from their website. REVIVE doesn’t have published opening hours, but you can send a text message to 1-415-547-0455 for Customer Service or contact hello@revive-eo.com. 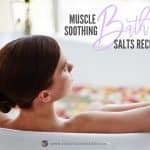 This brand also offers a newsletter, social media channels, and a neat “Young Living/doTerra” section where you can easily cross-compare your favorite MLM blends to REVIVE’s alternative options. Essential oils prices at REVIVE are fair, not too steep but also not too good to be true. Their specialty oils like Sandalwood, Helichrysum, or Rose are properly and fairly priced higher (as they should be), indicating a true quality product behind the label rather than a quick sale. Certain essential oils are just more expensive due to the incredible amount of effort and volume of plant materials required to produce the bottle of oil you buy. Aura Cacia Essential Oils is a unique brand in the mix of essential oil companies available on the market today because they’re a co-op structure (part of the Frontier Co-Op) rather than a corporation. With that, the leadership input is based on all member’s ideas, values, and desires, making for a community feel and direction. Established in Eastern Iowa way back in 1976, they had started bottling essential oils by 1979 in response to requests from stores. 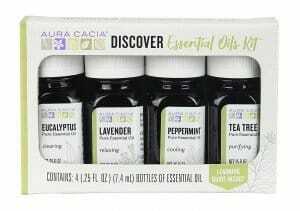 Aura Cacia’s Discover Essential Oils Kit is a Great Starter Option! Aura Cacia essential oils are packaged in amber glass bottles, which ensures that light does not disrupt the oils’ integrity and individual properties. The essential oil products are also 100% pure, not containing any additional bases, fillers, or additives. While not all of their oils are certified organic, they do have some certified organic oils in their line-up. If organic is important to you, shop for those specific product and look out for the correct “certified organic” label. If you’re not happy with a product for any reason, you have a 60 day refund window available to you, starting from the date of the invoice. You can ask for a refund or replacement. Products are also sold in “real” stores (not just online), so you are able to talk to a real person as well. For assistance with all returns please start by calling Customer Service at 1-800-669-3275. I love the affordability of Aura Cacia essential oils, while not compromising quality and testing protocols. Their bottles contain 7.4 mL instead of other “standard” 10 mL, so just be aware of that when comparing pricing. Learn more in my full review! NOW essential oils are part of the NOW Solutions brand. NOW essential oils offers a comprehensive natural product line-up of considerable quality at an attainable price. As a company, they manufacture and distribute over 1,400 natural foods, dietary supplements, sports nutrition and personal care products. NOW Foods runs an in-house full facility laboratory and utilizes third party testing only when necessary. They do put their oils through Gas Chromatography (GC) testing and Infrared Spectometry. 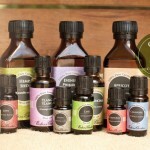 A selection of their assortment are USDA certified organic essential oils, and their oils are natural and 100% pure. One jasmine blend is clearly labeled as synthetic, but it is the only one in their assortment and the reason is explained on NOW’s essential oils FAQ page here, basically justifying the synthetic scent due to the very high price of pure jasmine oil. Getting in touch with customer service at NOW Health Group is a little bit less straight-forward. Their website lists all of their corporate offices (with phone numbers), but there is no one toll-free line mentioned for customer service or order inquiries. You can check online FAQ’s, fill out a product feedback form, or fill in an email inquiry form. For those of us who don’t like to deal via email, this could be the deciding factor between choosing NOW or another reputable brand that possibly offers easier access to talking to a real person. That said, NOW is definitely one of the bigger companies overall, and possibly they’d have huge call volumes if they opened their doors with a toll free line. Lisse Essential Oils is a newer brand established in 2014. 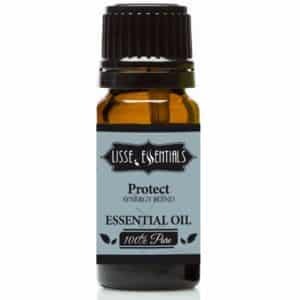 The company Lisse Essential Oils is a family owned and operated business based out of Sylmar, California. Established in 2014, it is one of the younger players but has grown to offer a substantial line-up of essential oils, synergy blends, carrier oils and aromatherapy accessories. Lisse essential oils purchases their products from distributors around the globe. Sourcing essential oils from foreign countries is common practice in today’s essential oil marketplace. It allows each plant to grow and flourish in its natural environment before it is harvested. Lavender originates in the Mediterranean, Myrrh is sourced best from the Middle East or Africa, and Sandalwood is originally from India. True essential oils have to come from their country of origin to be their most original variety. Lisse essential oils are 100% pure and routinely tested for quality. You can request test results on their website. Happy customers are of ultimate importance to Lisse essential oils. You can easily reach their customer service team Mon – Fri, 9 AM – 4 PM PST at 1-800-280-1973 or using the email contact form through their website. I’ve personally had great success talking with Lisse essential oils so I can say for sure there are real people with real passion behind this company. Lisse essential oils is one of the more cost effective essential oil brands available, along with Edens’ Garden, Plant Therapy and NOW essential oils. Certified Organic: Not officially certified because sourcing happens across a wide variety of countries that don’t all have US matching quality control standards. Same as with the Young Living Oils, they’re not US “certified organic” because of all the rules in the different source countries. Yes – Some of their product line-up is USDA certified organic. Not all of their oils are. 6 out of their 150 essential oils are USDA certified organic. Edens Garden offers both a certified organic line of essential oils, and a conventionally sourced lineup.Both an in-house laboratory and independent labs and consultants perform analyses for product quality. Quality Standards & Control: Proprietary “Seed to Seal®” production process. Subjected to strict requirements set forth in the CPTG Certified Pure Therapeutic Grade® quality protocol. “Source to You” production process. Third-party tested and all test results are fully disclosed on their website. GC/MS Testing, plus their proprietary S.A.A.F.E. Promise™. E.D.E.N.S Guarantee. Distillation process: A gentle, proprietary, steam extraction technique for distilling. Also cold pressing and resin tapping methods for select oils. Low-heat steam distillation process and compression. Plant Therapy works with third-party distillers that can continuously guarantee quality and purity. Steam distillation. They are steam distilled/ cold pressed without any adulteration or synthetic additives. Certified Organic: All of Mountain Rose Herbs essential oils are organic; some of them are USDA Certified Organic. Just a few USDA Certified Organic varieties available. Yes, some oils are USDA Certified Organic. Some certified organic plus in-house quality control review. No organic oils available. Quality Standards & Control: Independently tested and quality controlled using third party testing. GC/MS testing. Reports available to download from website. Internal Quality Standards and Control Mechanisms. No 3rd party testing. Uses their own team to conduct quality tests and ensure oils matches their standards. Quality controlled by producers. Distillation process: Depends on the oil, mostly steam distillation but some also cold pressed. Steam distilled, cold pressing for certain oils. Depends on the oil. Citrus oils: 100% cold pressed, All others: 100% steam distilled Steam distilled. 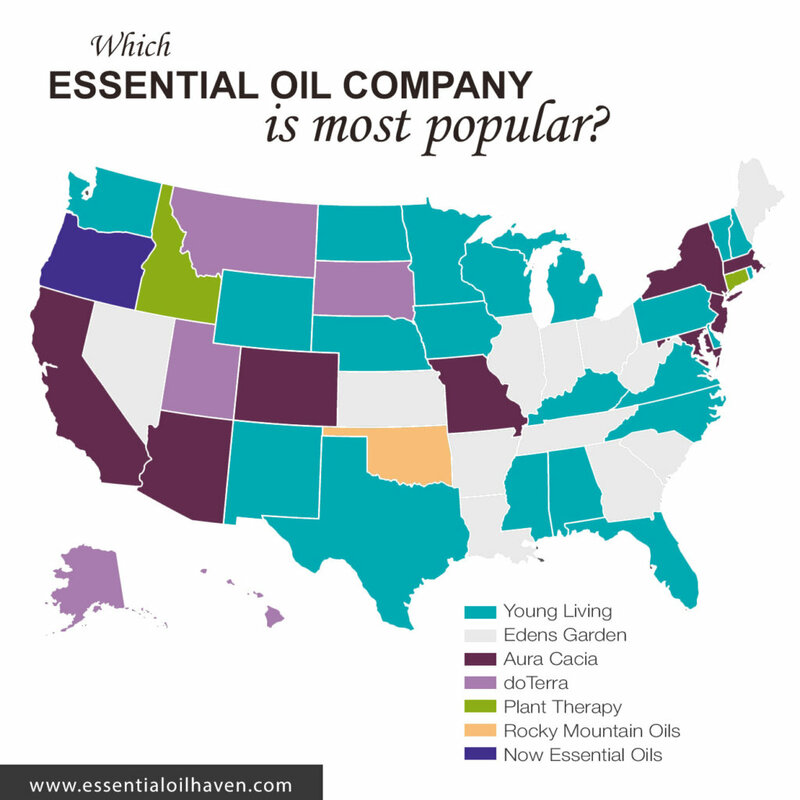 Let me show you a map of the most popular essential oil brands in the United States as of June 2018. By this research, Young Living essential oils is the biggest essential oil brand in almost half of the country: 22 states. That said, Edens Garden is charging up behind them quite powerfully, gaining popularity and winning 12 states in this comparison. All of the reputable essential oil companies in this comparison are ones that have made a name for themselves in at least half of the States. I didn’t chart brands that are only known vaguely in a few States. All of the essential oil brands on this map are popular, well-established, and trustworthy. Now the question only is: will they work for you? I hope my overview helped you get started on choosing the best essential company for you! My personal winner is Plant Therapy essential oils. They offer great value for your money, especially if you’re just getting started. 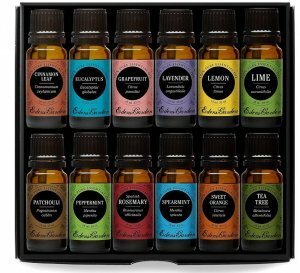 You can get a kit of 10 oils for around $50! This almost begs for you to try essential oils! If you have a bit of a higher budget range, I also quite like Rocky Mountain Essential Oils. They are a bit more money than Plant Therapy, but their quality is outstanding and never disappoints. Especially the blends, and the USDA Certified Organic line-up! 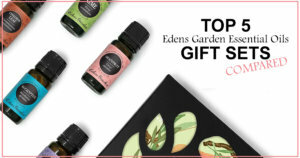 Third, I do also like Eden’s Garden essential oils as they have great starter kits that are easy to use, and useful in terms of what oils are included. Their oils are priced fairly, which is always appreciated. Mountain Rose Herbs would be my fourth favorite just because of their full-on commitment to all things organic. I really like their company culture, and like to support a great bunch of people! What about you? What is your favorite essential oil company? Do you have one? Which ones have you tried and have become familiar with? I’d love to hear your experience! Leave a comment below or join our conversation on Facebook. Thank you so much for the work you put into this . I found it very helpful. I’m just getting the oils and haven’t even purchased anything because I had no idea where to start. I started researching and was shocked at all the brands out there. I want to use a good oil but my funds are limited. I also started making candles and wanted a good brand that will hold the scent all the way to the end of the candle. Hopefully these will work. Again thank you so much for all the work you put into this. Thank you for this wonderful information! I have been inundated with the numerous brands of essential oils on the market. I have read reviews, but by far your information has helped me the most. I have been using oils for my Chronic pain & Neurosarcoidosis, always worried if the oils we’re harvested safely. This information will now allow me to make better decisions on my therapeutic treatment in the future! Thank you for your lengthy research! WOW!! What an informative article!! I knew next to nothing when it came to quality essential oils, but now after reading this, I feel I can make some decisions I can feel good about. Thank you SO MUCH for all the hard work you put into this…. 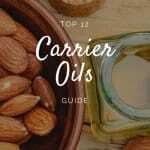 I’m so glad I found this site when I googled “oils comparable to young living.” I have been using Young Living oils for a few months now, but can’t keep up with the prices. I absolutely love and believe that essential oils help me sleep better, relieve my headaches and improve my life! I have bookmarked your page so I can frequently refer to it. Thank you for putting the time into researching each of these brands and building this site (beautifully done!). Can you tell me anything about GuruNands Oils? Fake or pure? Prices are exceptional and they claim 100% pure no additives. I found this really helpful. Thank you very much for the effort put into this. Thank you for this! I have been a MLM “distributor” for 5 yrs now and swore by that company. However, it was always a wellness thing for me, never a money-maker. We are about to go on retirement income, so i wanted to see who else is out there that doesnt cost so much but remains “unadulterated”. This was a huge help! What brand do you think is best in terms of affordability and effectiveness of the product? Thanks for the info! I have previously bought Edens Garden and will be staying with the company! In looking at your map, it would only be fair to mention that Young Living oils are multi-level marketed (as are DoTerra). I feel this explains their dominance. I’m sure the quality is there, but those are two brands I refuse to purchase because I feel they are WAY overpriced and over-pushed. I have read many essential oil blogs and narrowed my purchases mainly to Mountain Rose Herbs and a few Rocky Mountain Oils. I live in Tennessee and have them shipped to me. I have run into Whole Foods and bought a couple NOW oils in a pinch and would also purchase Edens Garden or Plant Therapy oils locally, in a pinch. Thank you for your research and sharing! i agree, i have a family member that sells and swears by young living. my self always mountain rose herbs never disappointed. little slow with shipping but its worth the wait. 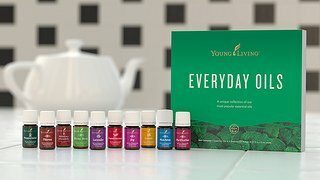 I just ordered an oil and it was just like YL to me. They seem so highly rated, but unknown overall. I just ordered them too and would like to know what the experts think! I am looking into Revive now to! I purchase form both YL and Doterra but the cost is just to high. How do you like Revive? I initially ordered yl starter kit…I loved them, but they didn’t last long at all. I know I always tighten the top. 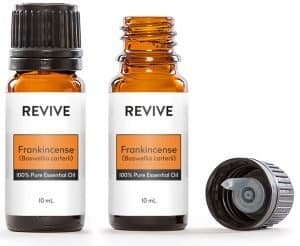 I even thought I had received a bad batch… very discouraged..I started looking elsewhere when I came across Revive… I placed an order and I’m so pleased.. Thanks you for this. I have been using Ananda since 2015 after finding YL just too expensive – even as a an associate. I think the service and quality at Ananda have deteriorated since the founder died earlier this year. I have considered trying Revive. I want something that I can ingest safely. I would not do that with NOW or Aura Cacia. I have done so with YL and Ananda. I may look at some of your other suggestions. I am a bit leery of Revive as I can find no independent reviews or information on their website. Also their prices seem quite low for what they say they offer.But I also don’t find any complaints when I google for that specifically..Also prices a much lower than other companies. I’m finding the same thing about Revive. I wonder why there are not reviews of it anywhere? It’s almost like the company searches to keep them off the internet because there isn’t a single one…does make me a little leary and also all the reasons you mentioned. Totally agree with you Joy Lujan. Was wondering why they are not on the list in this article. I have been very pleased recently with Zongle brand essential oils. They are listed as 100% organic and ingestible. Can you commment if you know anything about them. Their prices are also very affordable. 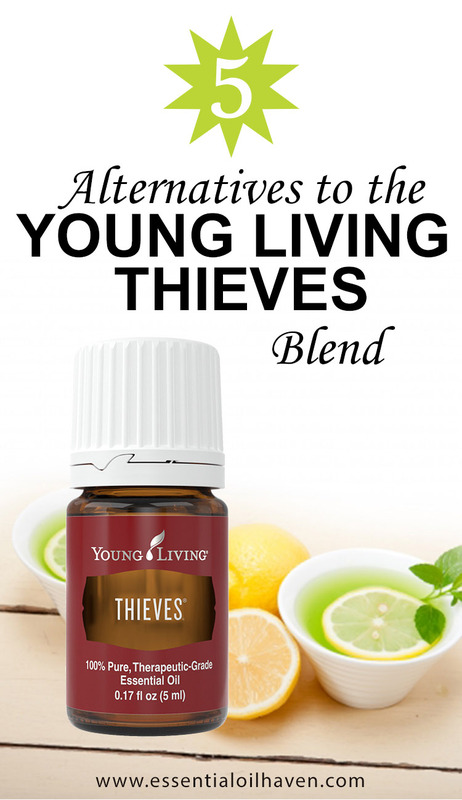 I have used YL for 22 years. I am moving away from them due to their high prices and high tax rate on purchases. Thanks for the great info. I would also like to see opinions and comparisons of Laguna Moon, good or bad. Thank you so much for this. I am being bombarded by doterra reps right now. I believe in essential oils but dislike mlm companies because they are so overpriced to pay down tge food line. I do have a few purchased from some others you have mentioned above and some not. Now I have a good place to start to build my own kits and feel confudent it will be a good oil. Thank you again. This was most helpful! Thank you for all of your detailed work. Any information on revive EO? What?! No mention of Living Libations out of Canada!? I ‘m just getting started with essential oils and found your article very helpful. I appreciate all the time you must have put into it. Thank you so much for this excellent distillation! I’m just beginning to use EO’s, and have had such excellent results that I am encouraged to try more — thank you for helping me find reputable companies to purchase from. The pricing comparison was especially helpful. My only issue so far is with Aura Cacia — the lids are so hard to get off the bottles — my 71 year old hands just can’t exert that much pressure any more — I emailed the company thru their website, and was sent alternative bottle caps, that didn’t even fit the bottles. Alas, not buying from them any more, which is unfortunate, since they are readily available in local stores. However, online ordering is easy and quick. Thank you once again! I had to stop buying Aura Cacia because the lids were too hard to get off. What the heck. And my hands are much younger than yours. I have strong hands and arms and still had a hard time. I even tried to fit different lids that might make it easier, but none would fit. So I had to just stop using their EO. As a healthcare provider, I obsess with what to recommend for patients and provide for my family. Others has recommended doTERRA and YoungLiving but being MLM & some questionable practices (and pricing), I could not recommend them. We have used Frontier/AuraCacia, MountainRose, RockyMountain, PlantTberaly and are happy with each of them. However, we’ve found Edens Gardens to work well for us. We love their blends, their sales/specials pricing and their customer service. We occasionally use the other brands (especially in a pinch) and sometimes place a order for AuraCacia through our Frontier Co-OP account. Thank You. I have purchased some Young Living, Rocky Mountain. Purchased another brand on line which I could tell was no good. Recently purchased Aura Cacia at health food store and was pleased with quality. I am glad to see it on your list and will be trying Plant Therapy as I am going to start making creams. I live in Maine. Thank you for this article. The effort you put into this is very apparent and much appreciated. I started out with essential oils back in the early 80s as a member of Frontier Coop. 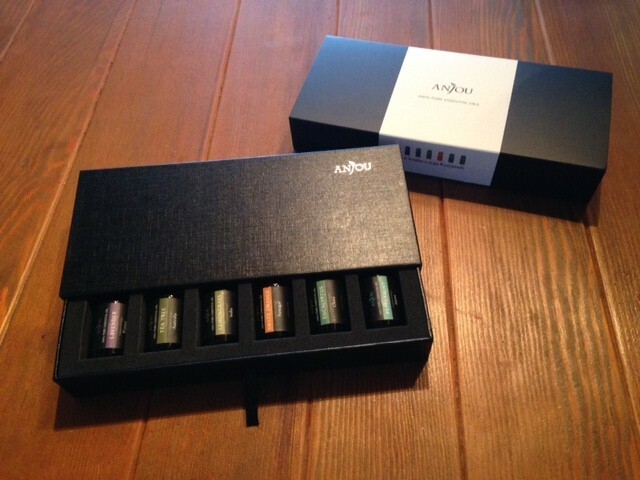 When they began the Aura Cacia line I continued with it and was very happy. However I couldn’t purchase in the size needed when I began making soap and other personal care products. My current sources are Elizabeth Van Buren, Floracopeia, Essential Depot, Rocky Mountain Herbs. Elizabeth Van Buren has a program for bulk purchases. This company also started the GC/MS certification which raised the standards for sure. Their founder has a college course in aromatherapy that nurses in my hometown went through and were then allowed to practice within their hospital workplace. I hope you will continue to review essential oil companies and related material. I would like to see more about the Ayurvedic oils and use. I’m partial to Plant Therapy and have been very happy with their oils and starter kits. Occasionally I purchase Floracopeia and Now products. Young Living and doTERRA just feel overpriced due to the fact they are an MLM brand and not worth the money when there are companies like Plant Therapy. Since E.O.’s have a shelf life between 1 and 2 years, their price points are a major consideration for me. Thank you for your E.O. list and reviews. I was happy to see Plant Therapy come out on top. Like so many others who have commented, I want to share my appreciation for the time and effort you put into this article, Emma. I have been overwhelmed when buying EO’s and before purchasing I want to be sure they are reputable and contain exactly what they claim. Please know your detailed research has helped so many, THANK YOU!! Thank you for this article, well researched and so much information! I appreciate that you are not pushing one brand. I’ve came across a lot of articles supporting the Young Living, but also criticizing them as well. I appreciated your feedback and suggestions on different brands, Thank you for great work! Thanks for sharing your knowledge in such an organized way. It is nice to have a few options of brands to hunt for in all price ranges. I am curious if your rating of 4/5 for the MLM ones was solely because of the MLM factor or if you think the oils themselves aren’t at a 5 level, or maybe because of the prices? Could you review Piping Rock essential oils?? Hi Amber, thanks for the suggestion and yes absolutely! It’s already in the works. Please check back again towards the end of the month! I have been using NOW essential oils and I am very pleased with the quality of the oils I have purchased. I have recommended them to friends and family and they are very pleased as well. out the shelf life vs cost factor. With the variety I do find certain ones do not get used in time. Thus, cost effective purchasing needs to be considered. Quality consideration remains important, and certain terms are only brand fluff if not backed up with integrity, so appreciate your input there especially. I want to try a couple new (to me) brands I see here. Valuable article! Thank you so much for this invaluable article – you put so much time into this and it’s greatly appreciated! I recently reviewed how much I spent with YL and am actually embarrassed that I fell for it without researching. Not that I don’t appreciate the products but well, they are just way too expensive and as someone else mentioned, high sales tax. Anyway, enough about that – I’m just so grateful for the article and all the wonderful (and positive) posts with other brands to look into, too! the side-by-side summary table is FANTASTIC! Thank you for maintaining this list and will be checking back! Here in Brazil, we do not have information like this from the site. I bought OE doTERRA that has now entered the Brazilian market. Can I easily buy all the other essential oils. Hey!! Thanks for the handy post 🙂 I am quite new to all this, but id like to put forward naissance as a brand to be considered. They’re truly ethical, and have the most wonderful blog site full of their morals and way of business and also, of course, really good products at very affordable prices! They are European though, partly why I thought I’d mention them – for all us Europeans to have a (sort of) local brand to pick from. And if you have heard of thrm/used their stuff im curious as to what you make of them? Thank you for all your hard work! It is really appreciated. Thank you so much for this article!! 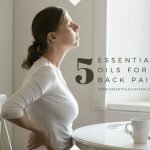 I have been considering oils over the last several months and this article has been so helpful! I have a friend who is big into the Young Living oils but does not push selling them. She swears by them personally and uses them with her family.I was shocked at the prices! I am not MLM company friendly though and this gives me so many great options! Again, I greatly appreciate the time you spent on this article and will be following your site from now on! Thank you for a very thorough and organized article. I appreciate all the research you and the comparison chart. 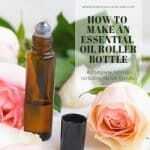 I am new to essential oils and this was so helpful. Have you looked into Revive Essential Oils? I know they are fairly new compared to the brands listed above, but I know they use they same highly renown people to test their oils to make sure they are pure, and they are a wholesaler and that’s how they keep their costs down. Thanks! Hi! Thanks so much for the information. I wonder if you have come across SwissJust, it would be very helpful to have your feedback on this Swiss brand. Thank you for these extensive reviews. This is exactly the research I have been searching for over a year now, since I started using oils. I have MS and really like diffusing the oils and mixing with carrier oils for massaging muscles due to spasticity, spasms, etc. Thank you very much for your website and hard work. Your work and information provided is the best I have found anywhere! Thank you for all of this information. A few of these companies I have not heard of. I have a friend with YL but, I was told they lost their BBB rating, so I stayed clear of them. I now use Melaleuca’s pure oils and have been extremely happy with them, but would love your opinion. Could you review them too? Thanks again! Thank you Emma for this wonderfully informative article. 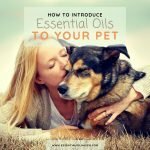 I am new to the EO world so this information is beyond helpful. I am wondering, like a few others mentioned in their posts, what you think of Revive EO’s? From what I read they seem to be a reputable company. I would like to know what you think. Thanks in advance for your reply. God bless! Could you possibly review Revive? Thanks so much for all your hard work! I just started getting serious about EO’s. Until now I just bought cheap brands that I found here and there. oooops! I Just started branching out and now realize the strength of the better brands is completely different. So far I am impressed with Eden’s Garden, the quality is A1 and the price is very reasonable. Best yet, FREE shipping! I just started trying some Plant Therapy and I am sure they will be good based on the reviews. I have a few Aura Cacia to try too. I was in the mall the other day and saw they had a Saje store. Wow, great store. I bought one oil blend to try and I am impressed. I sniffed every single blend and they were exquisite. The staff was so very helpful too! Emma, Thank you for all the LOVE you poured into your research ! ! ! ! ! Thank you for this helpful info. I’ve been purchasing Edens Garden online for several years and really like their products and roll-ons. I’ve used a few of the other brands I can get locally and some I’ve never heard of before. I stay away from the ones that want you to be apart of selling them or claim they are the only pure products out there. I know they have good quality products as well but I want to purchase my oils when I’d like to and not feel pressured or feel I can only buy from them. Thank you for the well researched and helpful article. Any information on Woolzies EOs? Thank you so much for this info. Still new to essential oils but have been using Sage and Now brands. Can you please do a review on Sage? This is a most interesting compilation of information! And exactly what I was looking for. I’ve been using essential oils for several years now, always doTerra, but I’m not so enthused by their multi-marketing plan. I ended up getting e-mails on growing my business from people I didn’t know. My “business” is my business – and it’s mostly just family. doTerra also has essential oils they state are “food grade”; however, I’ve read in several other publications to avoid internal use because essential oils are so strong. I have an issue with doTerra based on that and with their “internal” certification of their oils. Similar to pharmaceutical companies running their own research and always coming up with supporting information for their product. This has been helpful and I appreciate all the research you’ve done – I find that your research is matching that of my own on several levels. My mom is doing Revive. They say it’s legitimate and that their oils are too. Thank you so much, what a thorough well-written comparison. This was a huge time saver as someone who is just starting to look into adopting essential oils into my lifestyle.